Neil Rudisill grows dozens of crops and raises chickens on a small plot in the heart of Kansas City, Missouri. 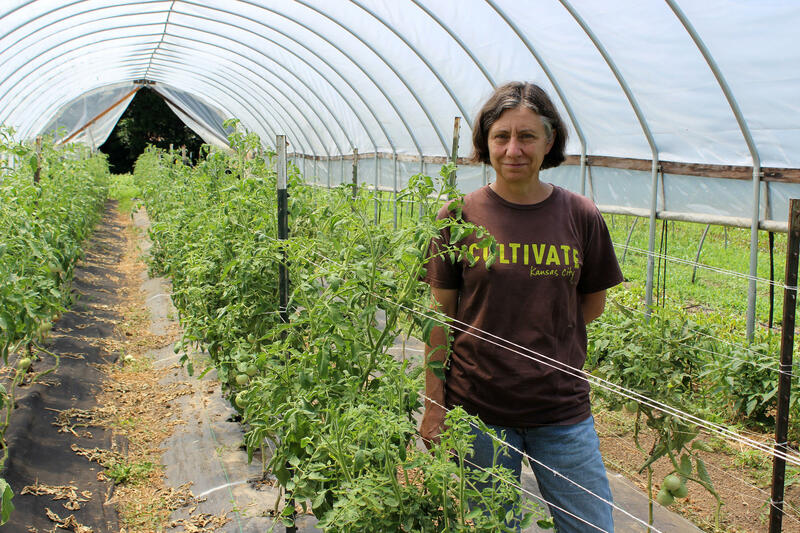 Suzanne Hogan reports on the limits of urban agriculture. "There is very little evidence of a significant number of jobs, let alone livable wage jobs, being created by urban agriculture." Katherine Kelly runs a Kansas City non-profit that promotes local farmers and studies how urban projects can fit into local communities. Northwestern Colorado has a rich heritage of raising sheep – either for their meat or for wool. But for decades the sheep herd, not just in Colorado, but nationally, has been slipping in numbers, outdone by countries like New Zealand and Australia. Where there has been resurgence though, is in local, niche markets. Some sheep ranchers have taken advantage of the local food movement to sell to customers at farmers markets and through community supported agriculture models. In the case of Yampa Valley Fiberworks, the emphasis is on reinvigorating the wool economy. Local food is no longer just a novelty. Farmers markets are growing nationwide and farms that sell directly to consumers brought in $1.3 billion in 2012, up eight percent from just five years earlier. Despite the demand, making local food work in some places is decidedly more difficult than others. Steamboat Springs is one of those places. Lots of consumers are smitten with local food, but they're not the only ones. The growing market is also providing an opportunity for less experienced farmers to expand their business and polish their craft. But they need help, and increasingly it's coming from food hubs, which can also serve as food processing and distribution centers. The U.S. Department of Agriculture estimates that there are about 240 of them in more than 40 states plus the District of Columbia. The smell of baking dinner rolls fills the kitchen at Decorah High School in northeast Iowa. As two kitchen workers mix a fresh broccoli salad, another, Chad Elliott, ladles tomato soup from a large metal pot on the stove into white plastic buckets for delivery to the town’s elementary schools.